Earlier today, MLive ran a column from a regular guest writer, Ken Braun, on what’s wrong with the mainstream media coverage of the death of Venezuelan President Hugo Chavez. Braun makes his case that the mainstream media is wrong on Venezuela, based on one story he cites on NPR, which is hardly a case at all. Not surprising, since Braun works for the Job Creators Network, which is a pro-capitalist entity founded by businessmen Bernie Marcus and Herman Cain, with the intent of providing a voice for CEOs and corporate America to talk about how they create jobs and business solutions. Like CEOs and corporation don’t already have enough representation, particularly in the media, to state their case. The Job Creators Network is actually part of a consortium, which also includes Job Creators Solutions and Job Creators Alliance. All three of these entities are nothing more than a front group for corporate America, which is exactly why Braun is so anti-Chavez. Since Chavez came to power in 1999, Venezuela has re-directed much of the national wealth to eliminating poverty, providing health care, education, paying off the IMF/World Bank debt and assisting other Latin American nations to be debt free as well. The Chavez government and many of the other South American countries have not been receptive to foreign investors, wanting instead to create a more independent trade block in the south, particularly independent of the US. Braun might know these facts if he bothered to learn something about Venezuela that wasn’t the dominant narrative from the US government or commercial media. 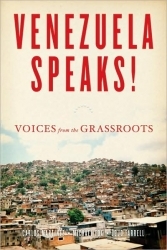 People would do well to read books like Changing Venezuela by Taking Power, Venezuela Speaks: Voices from the Grassroots, Hugo Chavez and the Bolivarian Revolution or The Chavez Code: Cracking US Intervention in Venezuela. There are also several really good independent documentaries on the Chavez years, beginning with the US-backed coup in 2002 The Revolution Will Not Be Televised. Other good films are No Volverán: The Venezuelan Revolution Now and Venezuela: Revolution From the Inside Out. On top of the films and books there are also several good online sources that provide solid analysis of politics and social movements in Venezuela, such as Venezuela Analysis, Upside Down World and the Washington Office on Latin America. Again, Braun makes the claim that the mainstream US media is wrong on Chavez, even though one cannot use a single example on NPR as a credible assessment. The national US media watchdog group, Fairness & Accuracy in Reporting, has been monitoring major US news sources over the past 14 years since Chavez became President of Venezuela and their conclusion is that the US media as been antagonistic towards Venezuela, often mimicking US diplomats. In addition to making a false claim about US media coverage of Venezuela and Hugo Chavez, Braun pins his whole case on a recent report from Human Rights Watch that claims that Venezuela is one of the worst human rights violators in the world. Such a claim is so absurd and flies in the face of evidence, even previous evidence that Human Rights Watch has provided. In response to Ken Braun’s use of the Human Rights Watch (HRW) claim, we are going to reprint an article by Joe Emersberger, which does the best job we have seen of dissecting the HRW claim. The death of Hugo Chavez provoked HRW to immediately (within hours) smear the Chavez government’s legacy. “Chávez’s Authoritarian Legacy: Dramatic Concentration of Power and Open Disregard for Basic Human Rights” said the Washington DC based NGO. If that isn’t harsh enough, in a tweet sent out in June of 2012, Ken Roth, executive director of HRW, described Venezuela as being one of the “most abusive” in Latin America. Ecuador and Bolivia were the other two states that Roth singled out. It is staggeringly obvious that HRW did not simply regard the Chavez government as one which could be validly criticized, like any other in the world, on human rights grounds. 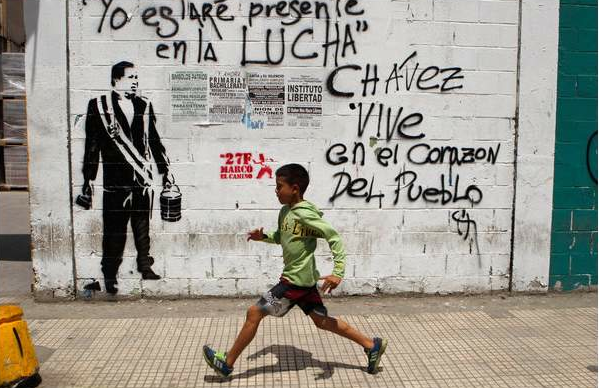 HRW regarded Venezuela under Chavez as one of the “most abusive” countries in the world. Make no mistake, if Venezuela is more abusive than Colombia, as Roth alleged, then that would easily place Venezuela among the worst human rights abusers on earth. Without exploring any details at all about these criticisms something should stand out right away. Putting aside HRW’s remarkably shoddy attempts to substantiate them, how could these criticisms place the Chavez government among the most abusive countries in the world? How could HRW’s assessment, even taken at face value, make Venezuela unworthy to sit on the UN’s Human Rights Council next to the USA? …in a November 19, 2009 U.S. Embassy Cable, entitled, ” International Narcotics Control Strategy Report,” the U.S. Embassy in Bogota acknowledges, as a mere aside, the horrific truth:257,089 registered victimsof the right-wing paramilitaries. And, as Human Rights Watch just reported in its 2012 annual report on Colombia, these paramilitaries continue to work hand-in-glove with the U.S.-supported Colombian military…. ….Indeed, as the U.S. Embassy acknowledges in a February 26, 2010 Embassy Cable entitled, ” Against Indigenous Shows Upward Trend,” such violence is pushing 34 indigenous groups to the point of extinction. This violence, therefore, can only be described as genocidal. Either Ken Roth is unfamiliar with his own organization’s reports, or something very rotten drives his groups’ ludicrously disproportionate criticism of Venezuela. I’ll borrow from HRW’s playbook and do some rehash of my own. I’ll rehash some of the questions I’ve been asking them for years. HRW has never attempted to answer. 1) When a coup deposed Chavez for 2 days in 2002, why did HRW’ public statements fail to do obvious things like denounce the coup, call on other countries not to recognize the regime, invoke the OAS charter, and (especially since HRW is based in Washington) call for an investigation of US involvement? 2) Very similarly, when a coup deposed Haiti’ democratically elected government in 2004, why didn’t HRW condemn the coup, call on other countries not to recognize the regime, invoke the OAS charter, and call for an investigation of the US role? Many of these things were done by the community of Caribbean nations (CARICOM). A third of the UN General Assembly called for an investigation into the overthrow of Aristide. Why didn’ HRW back them up? 3) Since 2004, why has HRW written about 20 times more about Venezuela than about Haiti despite the fact that the coup in Haiti created a human rights catastrophe in which thousands of political murders were perpetrated and the jails filled with political prisoners? Haiti’ judiciary remains stacked with holdovers from the coup installed regime. In honour of Chavez and of the Venezuelan movements which will hopefully expand on the progress made towards making Venezuela a more democratic and humane country, lets recall some achievements of his government on the international stage that HRW would never applaud. Let’s remember Hugo Chavez strongly opposing the US bombing of Afghanistan in 2001; the war in Iraq, the 2004 coup in Haiti, the 2009 coup in Honduras, NATO’s bombing of Libya, the lethal militarization of the conflict in Syria, the attempted coups against Morales in Bolivia and against Correa in Ecuador, Israel’s aggression in Lebanon and in the Occupied Territories. None of that impressed HRW in the least. It may even have aggravated HRW’s hatred of the Chavez government, but it should impress people who really care about human rights. The hypocrisy in the US continually astounds me!